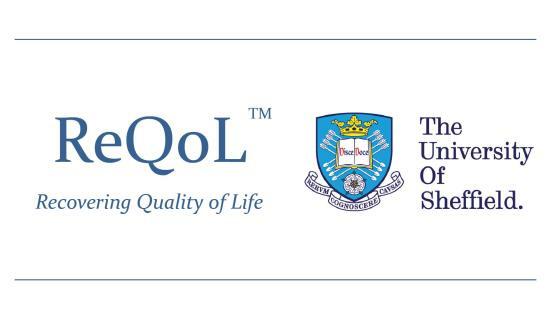 This note is to fulfil the transparency requirements under the General Data Protection Regulation for health and care research regarding the use of personal information in the ReQoL project. The University of Sheffield is the sponsor for this study based in the United Kingdom. We will be using information from you in order to undertake this study and will act as the data controller for this study. This means that we are responsible for looking after your information and using it properly. The University of Sheffield will keep information about you from the questionnaire, but cannot identify who you are, as we do not have access to any of your personal details. NHS Trusts will collect information from you for this research study in accordance with our instructions. NHS Trusts will keep your name, NHS number and contact details confidential and will not pass this information to The University of Sheffield, we will only receive information without any identifying information. The people who analyse the information will not be able to identify you and will not be able to find out your name, NHS number or contact details. Your rights to access, change or move your information are limited, as we need to manage your information in specific ways in order for the research to be reliable and accurate. If you withdraw from the study, we will keep the information about you that we have already obtained. To safeguard your rights, we will use the minimum personally-identifiable information possible.